We are working with Fisher Scientific on the first Research Product Show at SMU. A central mission of the SMU Biology department is to train students to develop the skills necessary to drive the current revolution in the biomedical sciences. They strive to fulfill this mission in a nurturing, supportive, and intellectually stimulating environment. 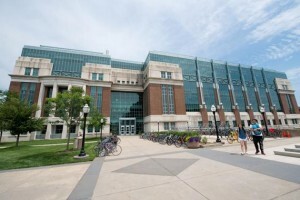 The department is under expansion, with plans to recruit a mix of five junior and senior faculty in the next five years. Current faculty conduct research in the areas of genetics and developmental biology, aging and metabolism, biochemical structures and functions, epigenetics, infectious diseases, neurodegeneration, and brain development. Graduate degrees (MA, MS and Ph.D.) are awarded in Molecular and Cell Biology.